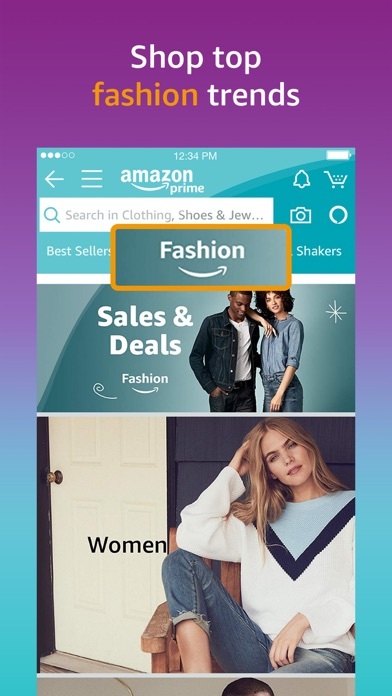 International Shopping Browse, search, get product details, read reviews, and purchase millions of products with Amazon International Shopping – now available in English, Spanish, German, and Simplified Chinese. 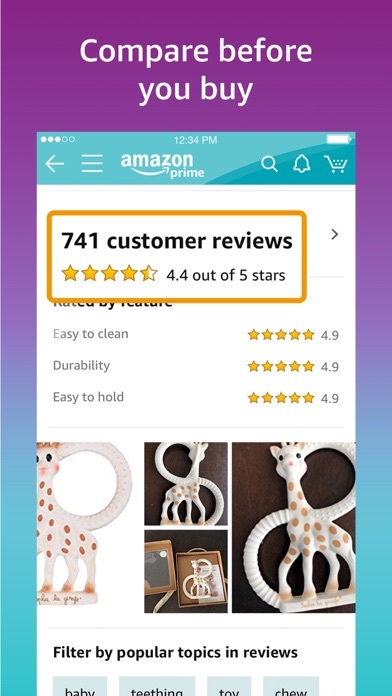 Amazon packs a variety of features and functions into this ample app, whether you’re buying gifts, reading reviews, tracking orders, scanning products, or just shopping. 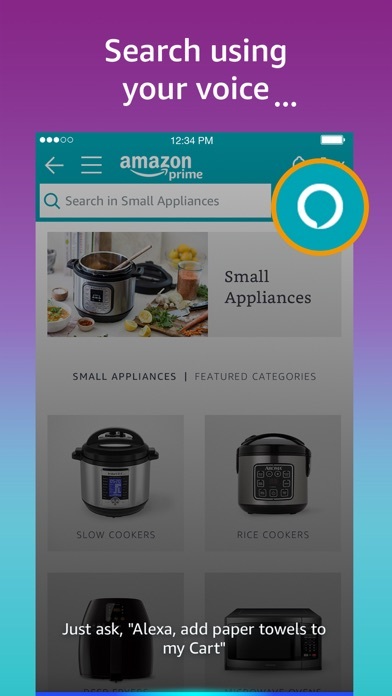 Tap the mic icon and use Alexa to play music, shop, tell jokes, listen to eBooks and more. 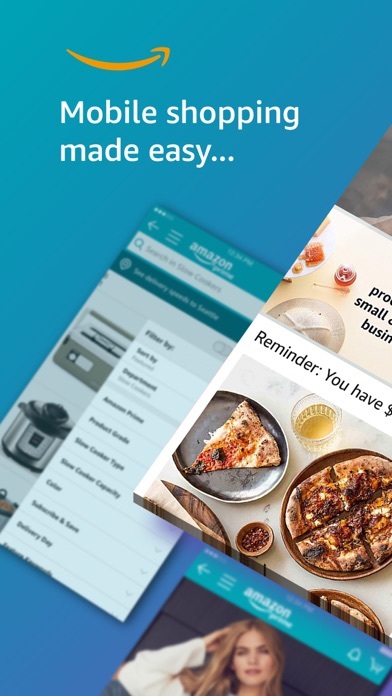 Convenient Sign in with your existing Amazon account to access your cart, payment preferences, and shipping options. Pay in your local currency with international credit or debit cards. Create or find a baby or wedding registry. No need to create a new account to manage your 1-Click settings, wish lists, or track your orders. Shop just as you do on the web. 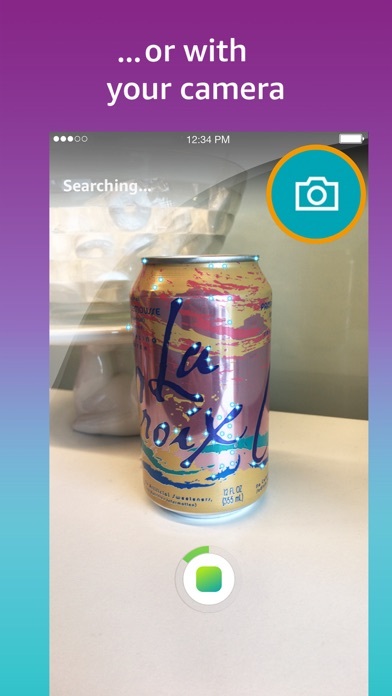 Fast Instantly compare prices and check availability by scanning a barcode, snapping a picture or typing your search. Secure All purchases are routed through Amazon's secure servers, protecting your personal, payment, and order information. International Delivery Amazon now delivers to 100+ countries in as quickly as 3-5 days. Universal In addition to International Shopping, you can change your settings in this single app to shop Amazon.ca, Amazon.co.uk, Amazon.de, Amazon.fr, Amazon.com, Amazon.it, Amazon.es, Amazon.cn, Amazon.co.jp or Amazon.in. In order to provide a rich experience and enable features such as voice shopping, shipping notifications, visual search, customer reviews, and authentication this app may request permission to access contacts, camera, microphone, notification, touch id, photos and Bluetooth. I shop a lot on Amazon and recently I have lost the ability to play product videos when shopping on my iPad. It just goes to a black screen and the sprocket spins and spins. I can still shop, but when I am trying to get further info from a video about a product, it is worthless. I love the app otherwise. Trying to get technical support to help now. Slow process. We will see how it goes and maybe a better rating if it goes well. Only a downgrade to a 3 at this point because they have been much better in the past. Disappointed to say the least. Wow!! I can easily buy anything in this app for a great price. Amazon shows me what item is best. It makes everything SO MUCH easier! 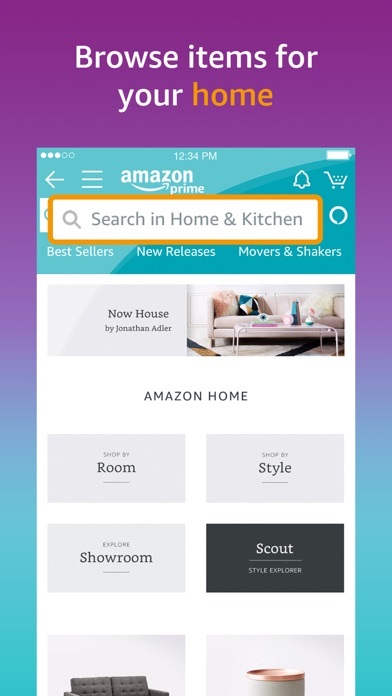 Who needs to go out of your house to the store when you can simply go to this app and click on anything for a great price? 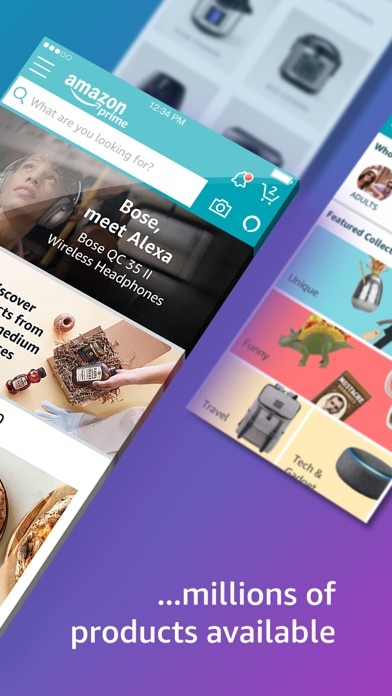 The app is VERY high class and high quality. You can easily figure your way through the app without confusion. Thank you Amazon for making not only my life but others too!! Months ago I return the tshirt that I bought，but it's not the same as the seller described on Amazon. So I returned it few weeks ago，but I didn't received the refund. No one can help me， they just told you to wait. So so tired of seeing something advertised that I am interested in and then have to search the site to find what I’m looking for. 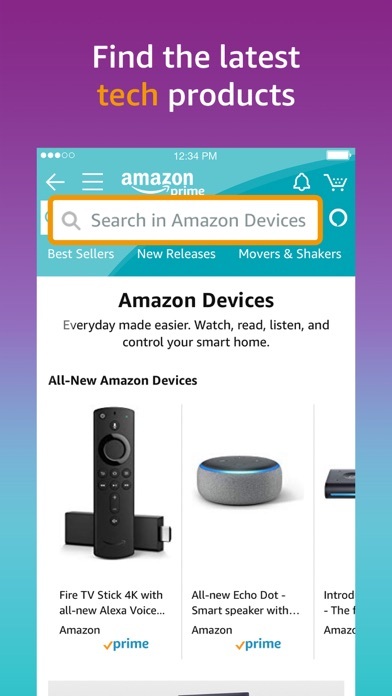 You should be able to at least go directly to the item then search for other things. Not anything they used to be. In the past this used to be a fun trustworthy place to shop. Now it’s full of people that lie a and constantly trying to trick you into buying stuff. I talked with a supervisor days ago over a order dispute. Finally I asked her so you’re no better than EBAY and she said yes that’s correct. Wow, I couldn’t believe what she said! Just because it says (amazon’s choice)don’t mean they stand behind that product. It’s all 3rd party selling to customers especially if you use free shipping. 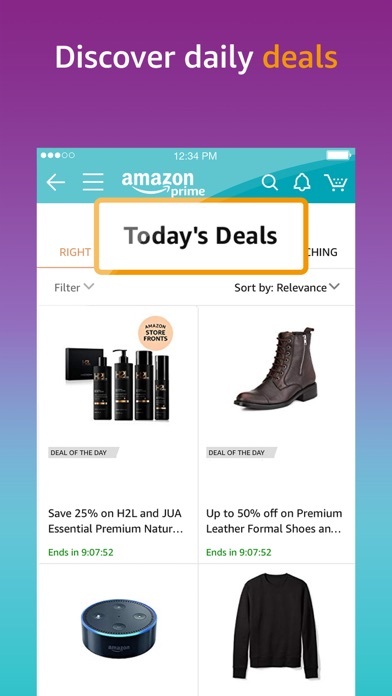 The whole experience that I personally have had, has forced me into removing card and deleting the amazon app. I’m going back to Walmart to my fishing gear. FYI, if you do buy something and it says only 1 left in stock don’t believe that, once you buy it go back and look you will see that it’s back in stock. Also I bought another product from a 3rd party seller, I was told from the beginning it will be delivered Friday two days before it’s supposed be here they tell me oh now won’t be here until Monday. You would be better off to buying products from DealDash.com. I’ve been a member since2013—not anymore!!!! Most of the time I search one specific thing and everything comes up except that thing. For example: I was searching for PS4 Controllers and it didn't appeared. The funny thing was that the things that were appearing weren't even PS related. I have 2 accounts I use on a regular basis, my personal (home) account; and a Business account; it is not easy to switch between accounts when I am on the app. Please make it easier to add and switch between accounts. Otherwise, good app.... Does what it needs to for the customer experience and even for business customers! Don’t make an Amazon account. If something goes wrong the terrible customer service will repeat the same messages as if they don’t read your emails and eventually account will be permanently closed even if you have money on it.